Gayle was roped in by KXIP for INR 2 crores during the IPL auction in January. Kings XI Punjab had a near flawless outing in their first match against the Delhi Daredevils on Sunday (April 8). Under the new captain Ravichandran Ashwin, the KXIP franchise restricted DD to a sub-par total of 166 and then chased it down with 6 wickets in hand and 7 balls to spare. Despite the all-round show from KXIP, there was one burning question that the fans were asking – where is Chris Gayle? Fondly known as Universe Boss, Gayle had gone unsold in the first two round of this year’s IPL auction before Kings XI Punjab bid for him in the third and final round. 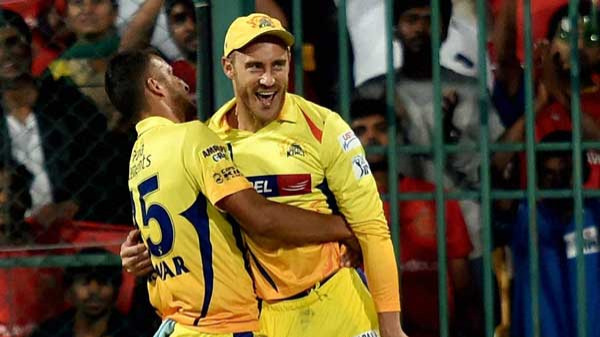 However, he wasn’t preferred in the playing of KXIP against the Daredevils in spite of regular opener Aaron Finch’s absence. As the Punjab-based franchise are now gearing up to take on the Royal Challengers Bangalore at Chinnaswamy Stadium on Friday (April 13), Gayle has said that he is looking forward for an opportunity to go out there in the middle. “I had a good net session in last couple of days, fitting in perfectly with the guys. I am looking forward for an opportunity to go in the middle. I am going to wait patiently and see how it comes along,” Gayle quoted as saying by KXIP’s official website. Gayle, who wasn’t retained by the Royal Challengers Bangalore for IPL 2018, put his name in the auction with a base price of 2 crores. He was one of the 16 marquee players who took part in the auction. Interestingly, the Jamaica-born batsman is the highest individual run-getter against KXIP and now he will be looking to do more of the same from KXIP corner. “Whenever I go to bat, everyone expects me to score a hundred or hit lot of sixes. Given an opportunity, I’ll do my thing again,” Gayle asserted. As far as Gayle’s IPL stats are concerned – the 38-year-old has 3626 runs in 101 matches with a strike rate of 151.20 and average of 41.20. He has 5 hundreds in the tournament and has the highest score in IPL and T20 cricket of 175*. He has hit 265 sixes and 294 fours in the tournament, playing for Kolkata Knight Riders and Royal Challengers Bangalore since 2008.